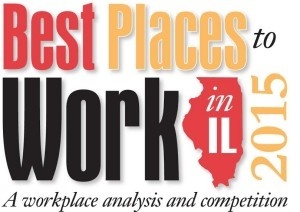 Grid Connect was recently named as one of the 2015 Best Places to Work in Illinois. The awards program began in 2006 and is promoted by The Daily Herald Business Ledger in partnership with the Human Resources Management Association of Chicago (HRMAC), the Illinois Chamber of Commerce, the Workforce Boards of Metropolitan Chicago, MRA-The Management Association, the Greater Oak Brook Chamber of Commerce and Best Companies Group. This statewide survey and awards program was designed to identify, recognize and honor the best places of employment in Illinois, benefiting the state's economy, workforce and businesses. The 2015 Best Places to Work in Illinois list is made up of 31 companies in the small employer category (15-99 U.S. employees), 26 companies in the medium employer category (100-499 U.S. employees), and 17 companies in the large employer category (500 or more U.S. employees). Grid Connect has been named one of the Best Places to Work in Illinois. In the small employer category. Grid Connect will be recognized and honored at the Best Places to Work in Illinois awards ceremony coordinated by The Daily Herald Business Ledger on May 6 and will be profiled in a special publication by The Daily Herald Business Ledger on June 22. The final rankings will be announced at the event. For more information on the Best Places to Work in Illinois program, visit www.BestPlacestoWorkinIL.com or contact Katie Smith at 877-455-2159.